Philip V, known as the Tall, was King of France and Navarre. 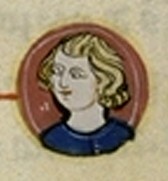 He reigned from 1316 to his death and was the fourteenth and penultimate monarch of the main line of the House of Capet. 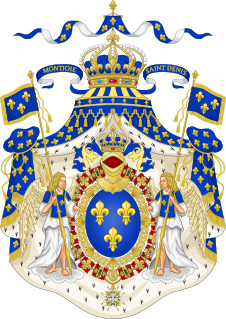 Margaret of Burgundy was Queen of France and Navarre as the first wife King Louis X and I.
Marie of Brabant was Queen of France from 1274 until 1285 as the second wife of King Philip III. 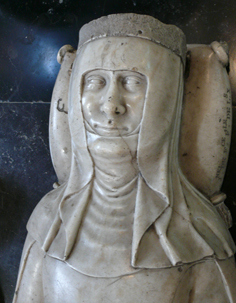 Born in Leuven, Brabant, she was a daughter of Henry III, Duke of Brabant, and Adelaide of Burgundy. The County of La Marche was a medieval French county, approximately corresponding to the modern département of Creuse. The Tour de Nesle affair was a scandal amongst the French royal family in 1314, during which Margaret, Blanche, and Joan, the daughters-in-law of King Philip IV, were accused of adultery. The accusations were apparently started by Philip's daughter, Isabella. The Tour de Nesle was a tower in Paris where much of the adultery was said to have occurred. 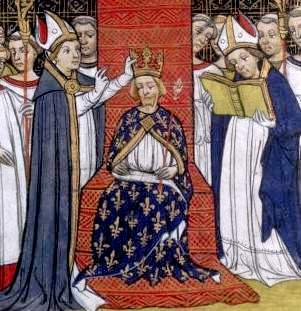 The scandal led to torture, executions and imprisonments, with lasting consequences for the final years of the House of Capet.